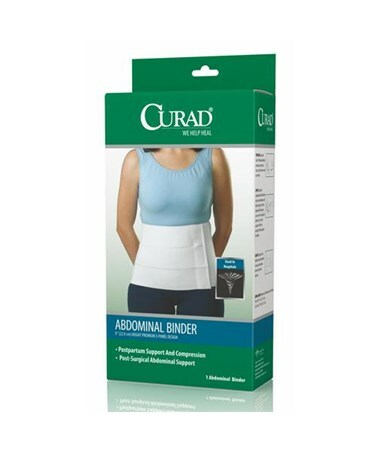 Curad's Tri-Panel Abdominal Binder provides postpartum support and compression as well as post-surgical abdominal support via its 9" high premium 3-panel design. 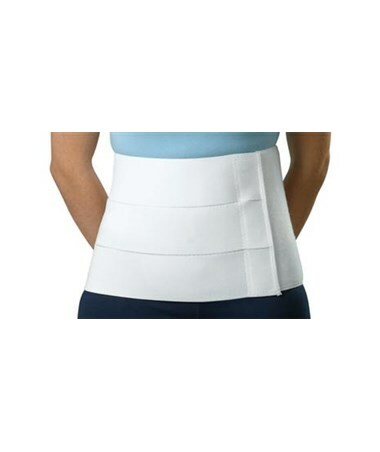 The tri-panel design reduces rolling and the binder uses contact closure for easy adjustment. It come in either retail packaging or a plain box and is also used in hospitals. 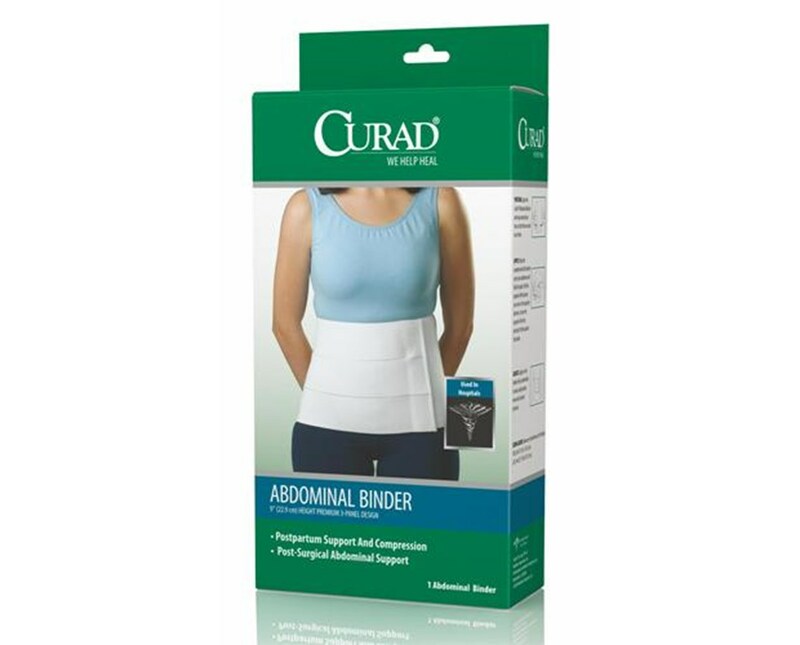 We offer Curad's Tri-Panel Abdominal Binder in two sizes, sold individually in either retail packaging or plain box. Select from drop down menu above and purchase direclty online by clicking "add to car!"